Taking some inspiration from the simultaneous simplicity and softness of Scandinavian design, this highly contemporary design features off-white shades arranged on a an angular frame of interconnecting rectangles finished in Antique Nickel. Matching wall lights and pendants are also available. Available as a stunning 4 light chandelier, 3 different pendant forms, a semi-flush and with two variations of wall light. 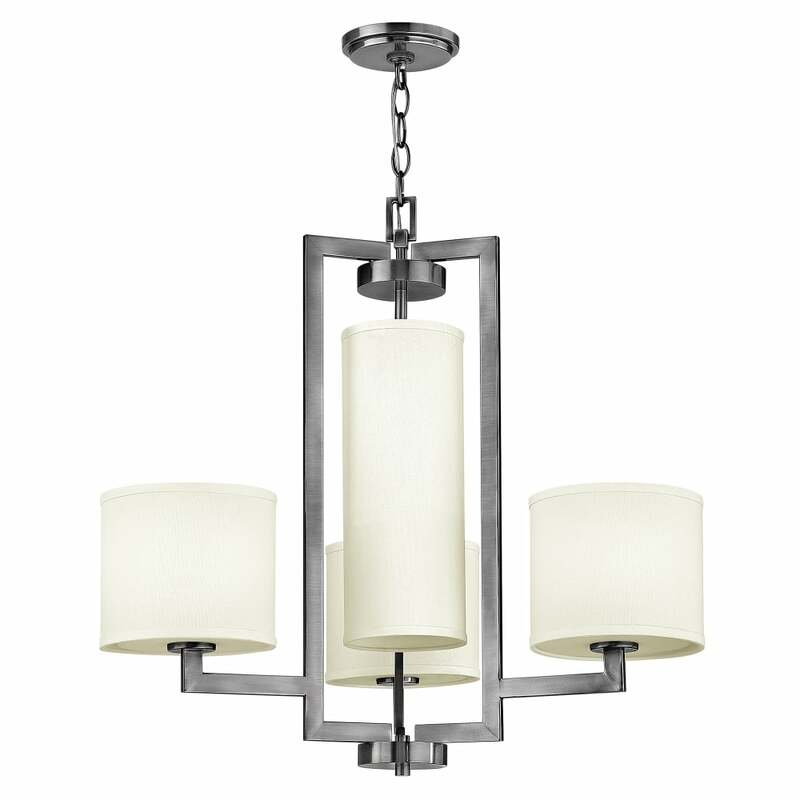 View All Hinkley Lighting for more information on Hampton or view the complete Hampton Collection.